How to fix corrupted or damaged RAR/ZIP files? As we know, there are two main reasons leading to RAR/ZIP files decompression failure, one is the wrong password, the other one is files corrupted or damaged. If you can't decompress the RAR/ZIP files due to the wrong password, RAR Password Recovery and ZIP Password Recovery can help to recover and extract archive again with the right password. However, when archive is corrupted or damaged, it's not so easy to extract it. Hence, the article here shares top 3ways to repair RAR/ZIP files after archive corrupt or damaged. 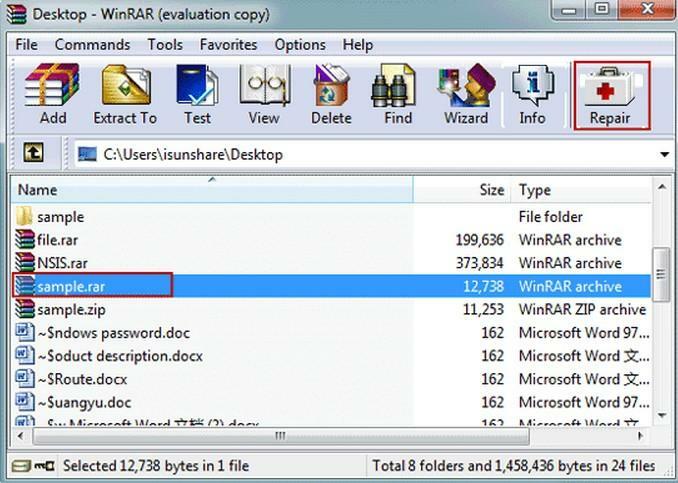 Compressed file repair function is integrated in WinRAR. 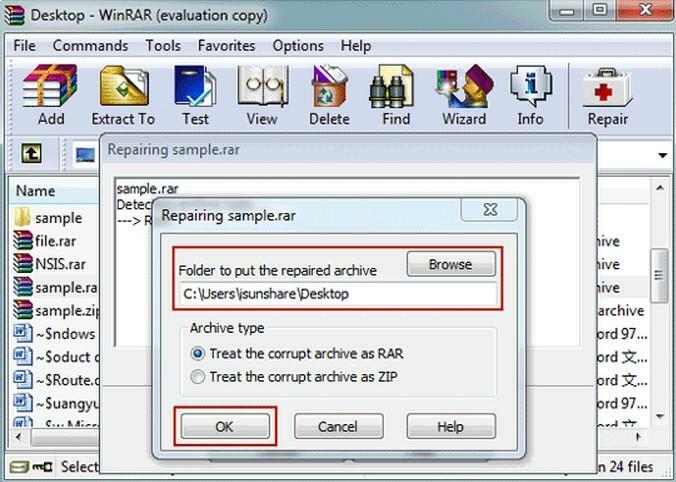 So if you want to repair corrupted archive, you can try to use WinRAR. Tips: You can try this method, because if the archive is not corrupted seriously, the success rate is high. 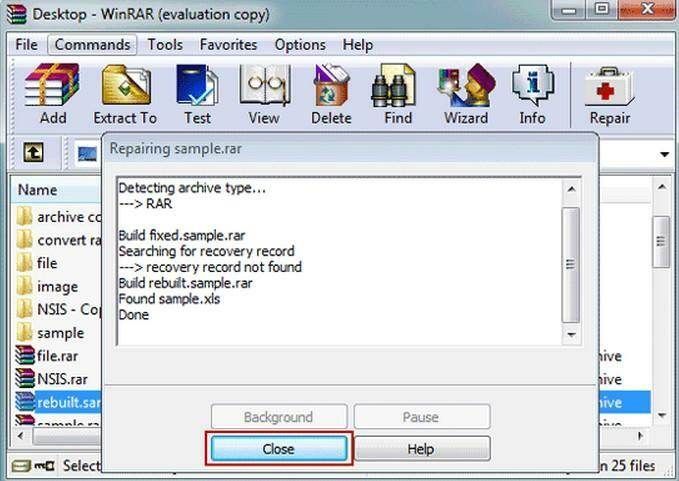 Step 1: Run WinRAR and in address bar, navigate to the location where the corrupted archive is saved. 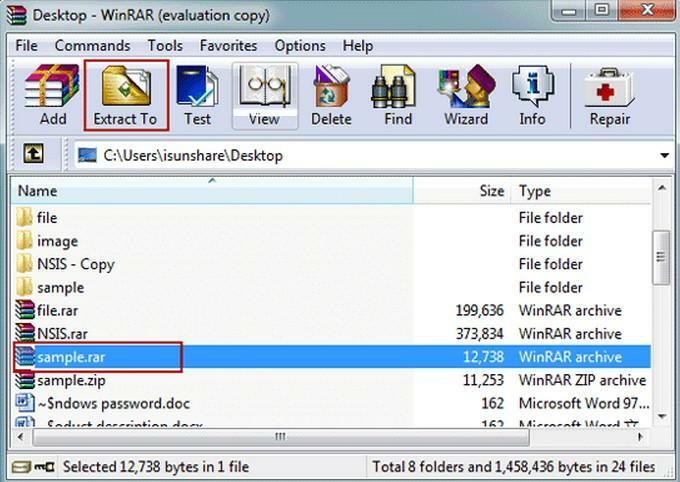 Step 2: Select corrupted RAR or ZIP file. Click Repair button in tool bar, and choose "Repair archiver" if there is a drop-down list. Step 3: Then a new dialog would pop up. There you can choose the location where you want to save the archive after repairment. Confirm settings and click OK. Step 4: After 100% repairing corrupted archive, go to the folder you choose to save repaired archive, and find the file named _rebuilt.rar or _rebuilt.zip. This file is the repaired archive file you want. Undoubtedly, the special compressed file repair tools are available to fix corrupted archive .rar .zip file. For example, Zipmagic, RAR Recovery Toolbox, Advanced RAR Repair are the damaged RAR/ZIP file repair tool and they should be powerful than repair function provided by WinRAR. They adopt a variety of algorithms to scan damaged archive to recover archive data, and check the consistency of archive file. If your compressed file, RAR or ZIP archive is not large software, but an archive with several files, such as images, you can take following method into RAR or ZIP corrupt error repair. Step 1: Select your RAR archive and right click it. Choose "Extract files" in the appearing shortcut menu. 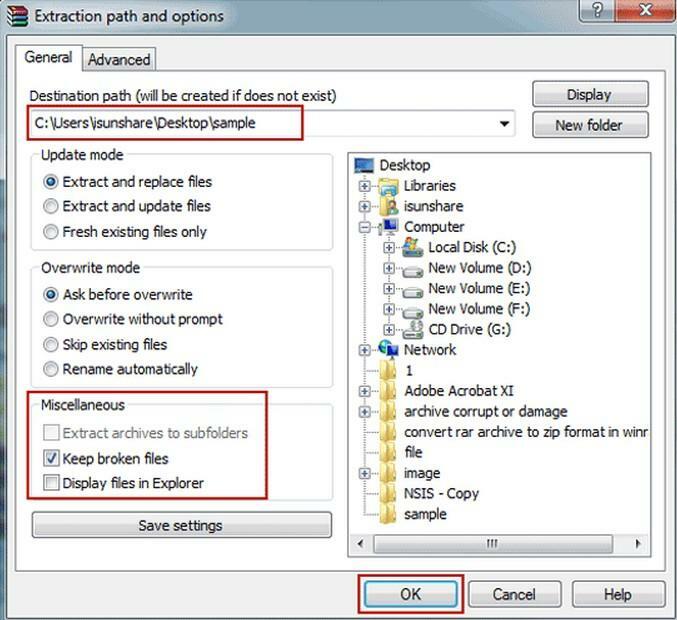 Step 2: In the "Extraction path and options" window, choose a folder to save decompressed archive. And check Keep broken files in Miscellaneous. Step 3: Click OK to begin extraction. When there are error messages prompt you, ignore them and go on to extract archive. Then we will get all the files that are not broken or corrupted. Those are the contents about how to fix corrupted .rar .zip archives. Hope you successfully access the archive again with the help of the 3 methods above.